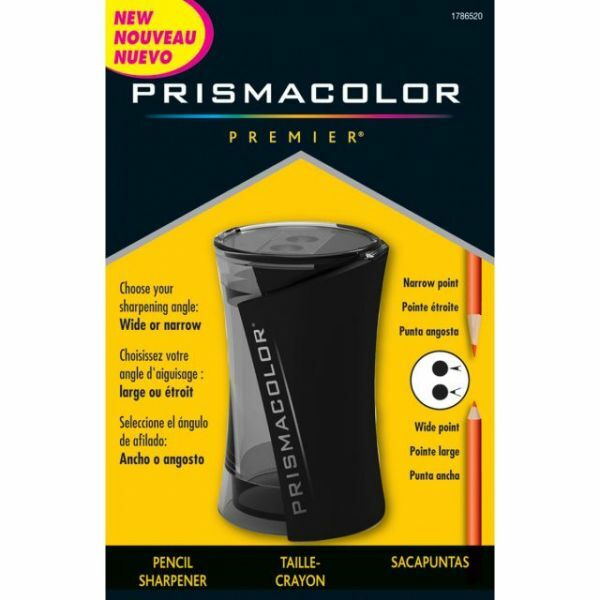 Prismacolor Pencil Sharpener - SANFORD-Prismacolor Premier Pencil Sharpener. 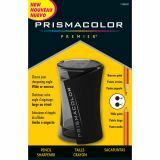 Specifically designed to sharpen Prismacolor pencils to a perfect point<BR>- choose either a wide or narrow angle! The translucent cover keeps shavings inside until ready to empty and the blades are made of high-quality steel. This package contains one 3-inch-tall 1-3/4-inch-diameter pencil sharpener. Imported.